Congratulations to Robert and Adrienne Hodgson on the purchase of “CP SHE MAKES ME HAPPY” the beautiful “HF SOMETHIN HOT” filly from Australian Congress Western Pleasure Champion “WINDERADEEN IMA HAPPY GAL”. This chocolate Chestnut filly is a full sister to the lovely filly that Adrienne and Robert so tragically lost in a freak paddock accident. 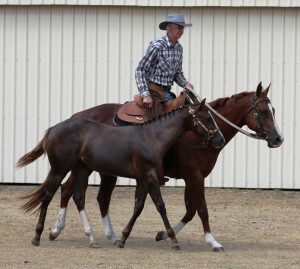 What a great filly to add to your show team and then breed to your amazing ‘CP SURELY THE BEST’ in years to come. We wish you a happy show career with this gorgeous girl. We look forward to enjoying the success of all these “HF SOMETHIN HOT” and “Coronation Park” bred Progeny in New Zealand. This photo is at 5 months, and taken two weeks after weaning. CP SHE MAKES ME HAPPY 5 months old and weaned two weeks. what a beauty!